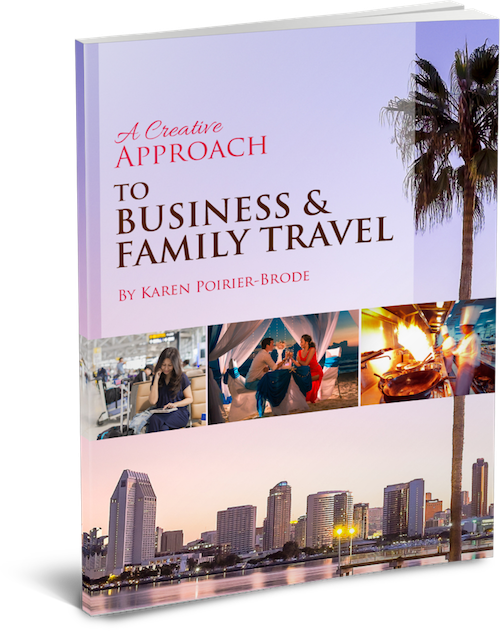 Creativity rarely happens on an island by yourself. The crafting community is filled to bursting with strength, support, and heart, which is just what we need to celebrate during a season of gratitude. My guest today is Eileen Hall, and she has certainly discovered all of those things and more. Eileen is a Paper Trail traveling adventurer who crafts her way across the country. Through her digital media, Eileen also teaches and shares her inspiration with followers from all over the world. What makes Eileen’s teaching even better is that she considers her “followers” her friends. 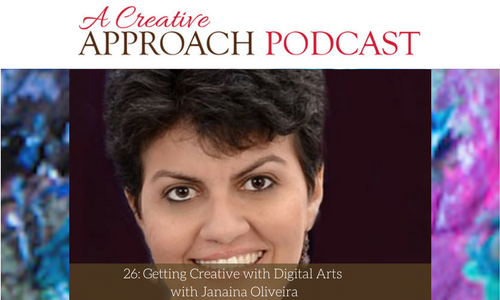 She has learned how to lean into the crafting community, and as a result, she has created wonderful work that inspires so many. Eileen isn’t just rambling about in her vintage trailer, Scotty; she is also creating die products for Sizzyx. Each die is designed and crafted with a team Eileen loves working with. These dies came about as a brilliant solution to a real crafting puzzle. Using both creativity and critical thinking, Eileen is determined to give you creative solutions to all of your problems. I am so thankful to have been able to sit down and chat with Eileen today. Our conversation is filled with so much heart and compassion. 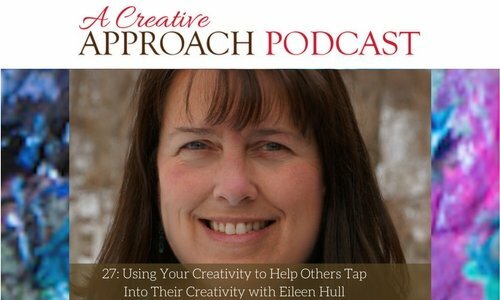 If you are in need of a little pick-me-up, give this episode a listen, and make sure to check out all the ways you can be a part of Eileen’s creative community. Eileen shares all about the products she creates for crafters and artists like me. What exactly is a design team? How did it turn into a fan club? Scotty the Vintage trailer is full of adventures! How Eileen uses Facebook Live to connect with everyone on all her adventures. The other craft adventures that Eileen teaches to others. From health care to crafting! Eileen shares how crafting became such a huge part of her life. How Eileen got involved creating dies. Share designs, even though the sad truth is that people steal. Eileen is motivated by deadlines, but she is rarely short on ideas. How to get your hands on Eileen’s designs. Last little thoughts on creativity. The beauty of community with Facebook Live. Today we welcome our very first musician on the show! 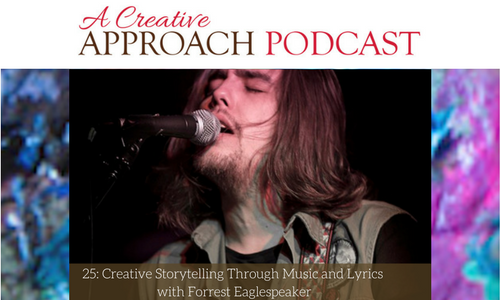 He is the delightful Canadian musician Forrest Eaglespeaker, founder of the band The North Sound and today he will be telling us about his storytelling, his music and the poetry of his lyrics, so listen in to find out more about Forrest and the wonderful music that he plays. Forrest has been playing the guitar and singing in his band, The North Sound, for the last two and a half years. In January of this year, they released their debut album, The Valley and one of the songs from that album, Sunshine, became a number one hit on the Indigenous Music charts in Canada. Since then, things have been going well and they have released another EP, titled SKAB. With those two albums out in the Universe, they’re hanging out to see what comes next. Listen in to find out more! Forrest talks about Earthsongs, an American Indigenous Music station based in Alaska and L.A., who ran a feature on Forrest’s band. The current, modern, underground scene, with a vast amount musicians who happen to be indigenous, making tons of amazing music. The struggle for underground, indigenous musicians to get their music to reach the forefront. The goal of the Indigenous Music stations. Why it’s so difficult for Forrest to characterise his really melodic, alternative, music. The biggest part of the music for Forrest- the storytelling. Where The North Sound is at right now. The really great group of musicians that Forrest has been playing with, in Calgary, over the last two years. How Forrest started out with his music. The influence of Forrest’s indigenous identity on his music. The difficulties that Forrest used to experience, around his cultural identity. The influence of Hip Hop on Forrest and his music. What creativity means to Forrest. Forrest’s creative vision for the future.